In 2013, Omega took us to the Dark Side of the Moon with their Speedmaster made from black ceramic. It was a huge hit among the fans of the brand and in the following year, the Speedmaster DSOFTM was awarded the prestigious GPHG “Revival” Watch Prize. 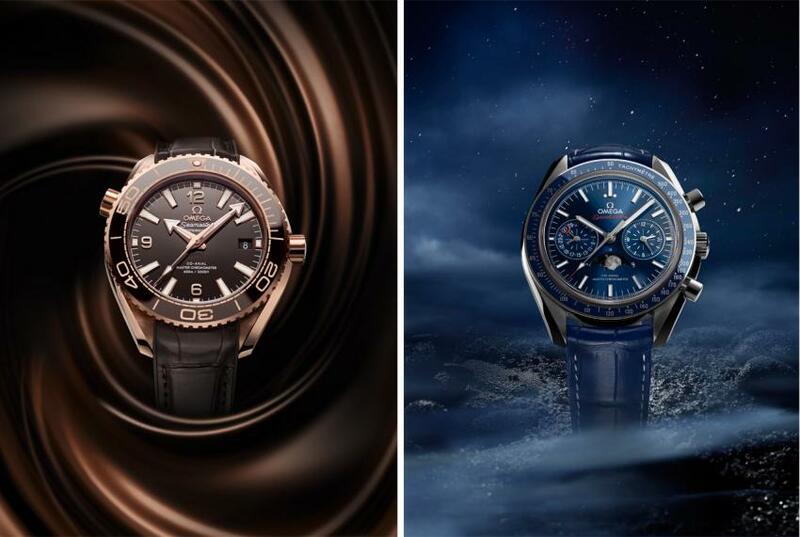 The Moon exploration continued with the Speedmaster Grey Side of the Moon made from ceramic heated to 20,000 degrees Celsius that gave its unique colour while last year Omega has presented the White Side of the Moon and a whole plethora of DSOFTM models. For this year, the Speedmaster Grey Side of the Moon has returned with an upgraded model, equipped with Sedna gold bezel and grey meteorite dial. Sedna gold is also used for the applied indexes and “Moonwatch” style hands, complementing beautifully the grey extra-terrestrial stone which has been acid etched to reveal its unique structure. 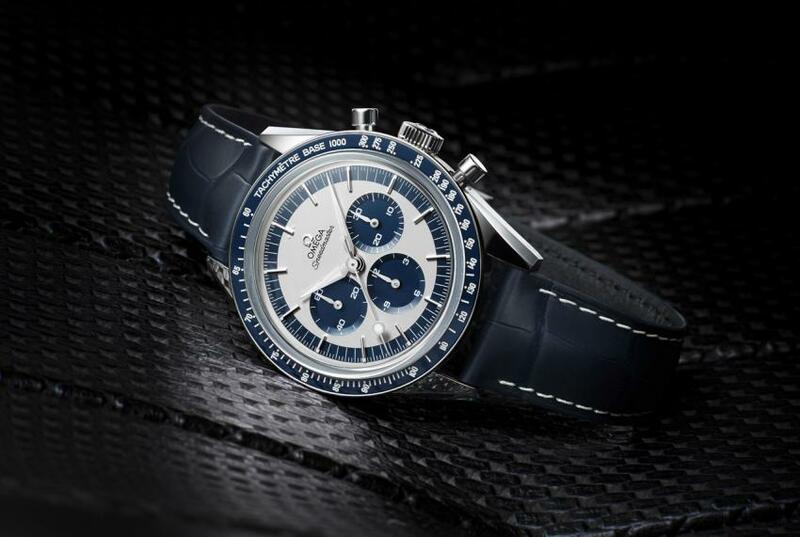 The GSOTM “Meteorite” is expected to be available as of June at a price of CHF 13,000. 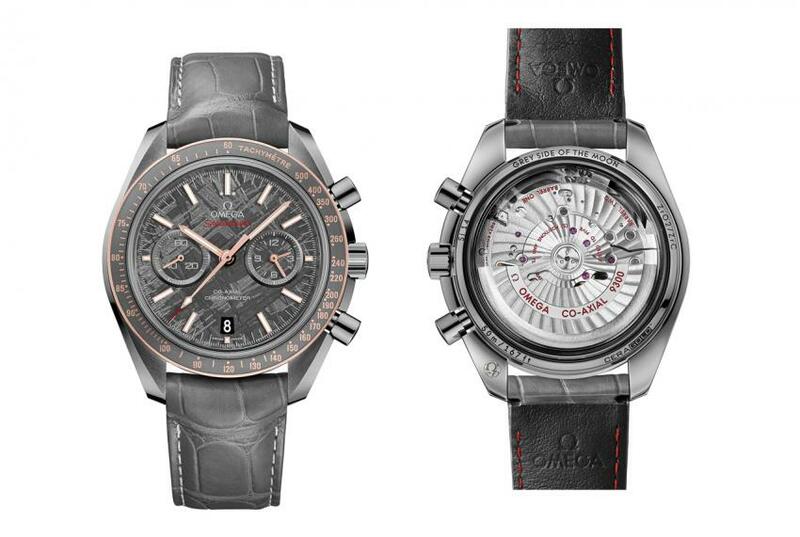 CNN has the Speedmaster “CK2998” on their list of five show-stopping pieces from Baselworld 2016. The excitement of the author is shared by many connoisseurs of vintage Omega watches because it is a re-edition of the CK2998, one of the most sought-after models by vintage Omega collectors. The original CK2998 was in production between 1959 and 1962 and it became known as the first Omega in space, thanks to astronaut Walter “Wally” Schirra who wore his own personal Speedmaster Reference 2998 during the “Sigma 7” mission of Project Mercury. The new “CK2998” follows the same design as the original model, bringing back the famous lollipop seconds hand and even the original Speedmaster Seahorse medallion has been reintroduced and embossed on the screw-in caseback. One would expect that a re-edition of an iconic model would keep the colour scheme of the original watch. Well, not in this case and I think it was the correct approach, making it a re-edition that is inspired by but not a copy of. The 2016 model is dominated by the dark blue found on the dial and the bezel, matched with a blue leather strap. As you can see in the video the hands, the indexes and even the tachymeter has luminous coating for night-time visibility. It is fitting for a re-edition of a rare watch to be produced in limited numbers and for the new Speedmaster “CK2998” there will be only 2998 pieces made. Price is CHF 5,400 and it is expected to hit the shelves in July. While it was unveiled at Baselworld last year, it has been less than a month that the first Globemasters started showing up at Canadian authorised dealers. The Globemaster was Omega’s first METAS certified Master Chronometer (for more details about METAS and the Globemaster, go to Michael Vinovich’s hands-on review). 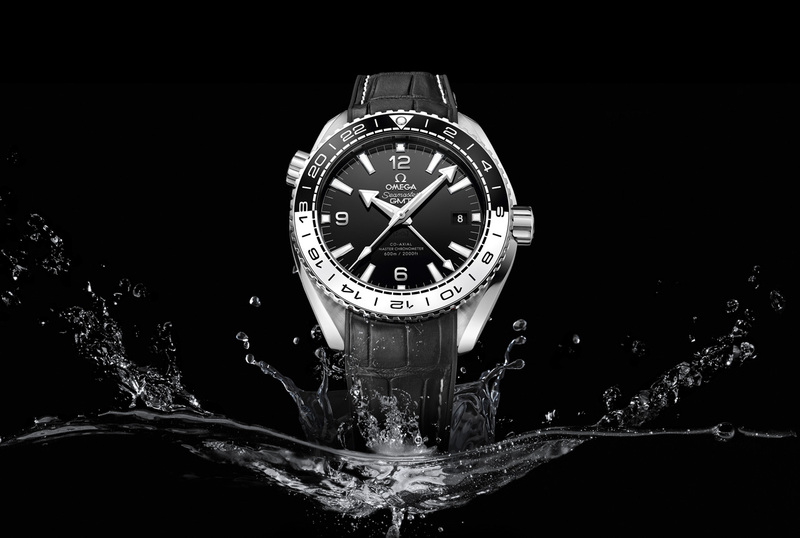 With Globemaster Annual Calendar, Omega continues their march toward obtaining METAS certifications for most of their mechanical watches by 2020. The inspiration for the Globemaster Annual Calendar movement comes from the 12 facets of the watch’s Pie Pan dial. A central varnished blue hand indicates the current month through an instantaneous jump. The stainless steel case diameter has been increased from 39 mm to 41 mm, and here too, the colours scheme is dominated by blue. It is expected to arrive in stores in early autumn and prices will start at CHF 7,800. Both the Sedna gold and brown ceramic Seamaster Planet Ocean 600M and the Speedmaster Moonphase are METAS Master Chronometer certified. The details about these two models were release before Basel and we already covered them in a previous article that you can find here. If you want just a brief summary, I can tell you that the PO 600M has a diameter of 39.5 mm and is marketed as a ladies watch, although I would not hesitate to wear it. For the Speedmaster Moonphase, what is important to know is that it is the first Speedmaster with the moonphase indicator at 6 o’clock as opposed to the 12 as it used to be on previous models. This change was made possible by the development of new automatic calibre, the 9904. The result is breathtaking! MSRP for the PO 600M is CHF 18,700 and the Speedmaster Master Chronometer Moonphase will start at CHF 9,400 for the stainless steel model, and this price goes up for the gold and platinum models. 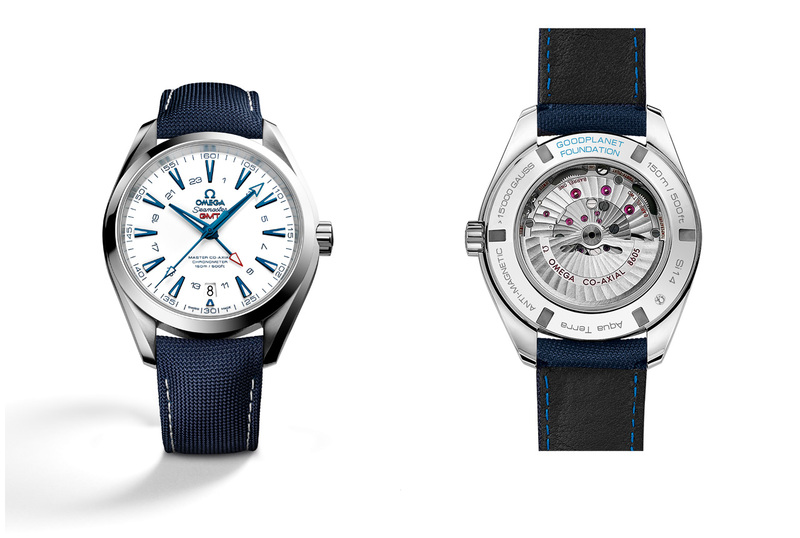 2016 will be an important milestone in the history of the Seamaster Planet Ocean collection. There are three models, a three hands and date, a GMT and a chronograph. There are many changes — inside and out: new movements, new sizes, thinner cases and all three of them are METAS Master Chronometer certified. 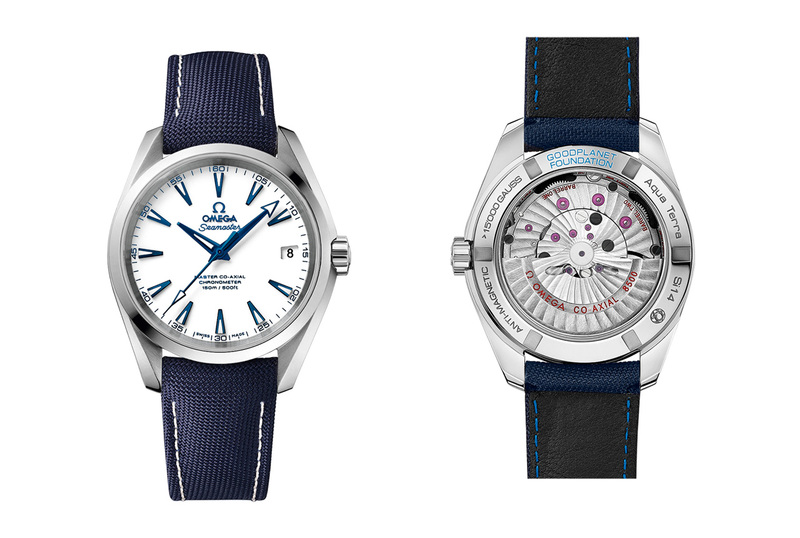 The Seamaster Planet Ocean 43.5mm Auto introduces a world premiere. For the first time, rubber has been blended with ceramic, with orange rubber covering the first 15 minutes. There are actualy two versions of this watch, one with titanium case with grey silicon nitride ceramic ring with rubber and a stainless steel model with black ceramic and rubber bezel. For the scales and the numbers on the bezel, Omega is using Liquidmetal, a special alloy that is three times harder than stainless steel. Under the hood we have the Master Chronometer 8900 with a power reserve of 60 hours. 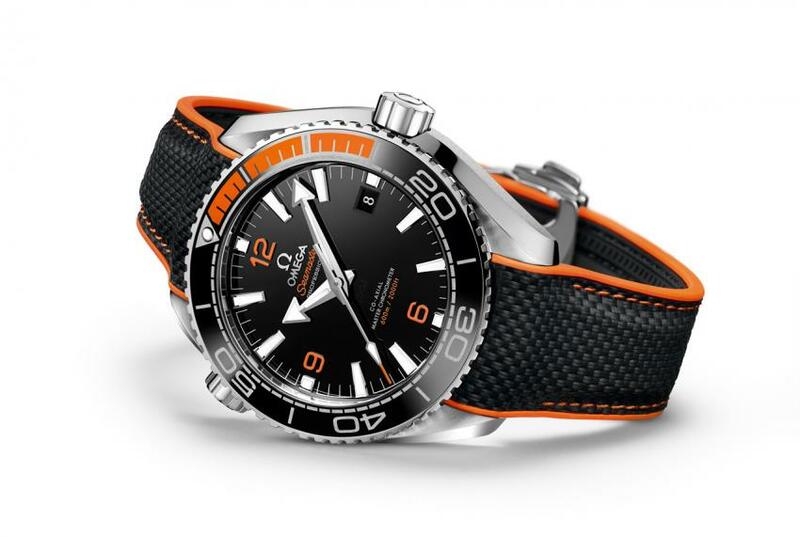 The watch is fitted with a black leather strap with a black and orange rubber underside. The MSRP is CHF 5,700. The Seamaster Planet Ocean 43.50mm GMT features another first for Planet Ocean: the world’s premiere polished bi-ceramic [ZrO2] black and white bezel ring. On the stainless steel case, the bi-directional rotating bezel separates night from day, with numerals and scaling in contrasting colours. The PO 43.50mm GMT is powered by the 38 jewel Master Chronometer 8906, beating at 25,200 A/h and offering a power reserve of 60 hours. The Seamaster Planet Ocean 45.5mm Chronograph features an 18K Sedna gold and steel case and polished blue ceramic dial to create a watch that truly dazzles. It also includes a bi-colour bracelet in stainless steel with a stripe of 18K Sedna gold. 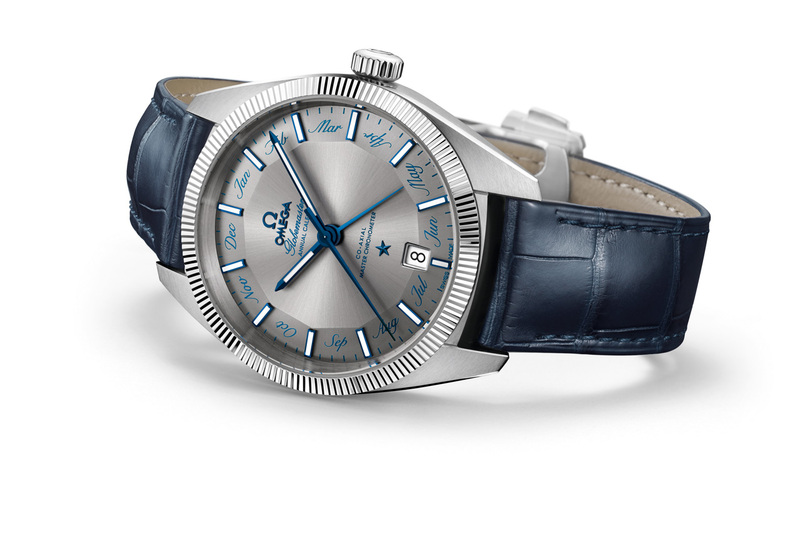 The deep blue of the ceramic dial and bezel is offset beautifully by the OMEGA Ceragold numbers and diving scale. 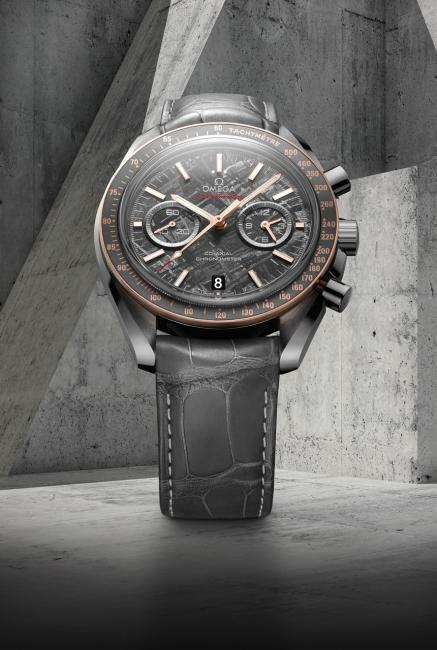 It is powered by the Master Chronometer 9900. MSRP is set at CHF 14,500. Omega’s collaboration with the GoodPlanet Foundation goes back to 2011. In 2012, OMEGA produced an award-winning documentary titled Planet Ocean. The 90-minute film was directed by Yann Arthus-Bertrand and Michael Pitiot and, after making its debut at the Rio+20 Earth Summit, it was shown to audiences at exclusive OMEGA-hosted events all around the world, including a special screening at the United Nations in New York. This year, there will be a new documentary launched worldwide, called TERRA, highlighting the fragile relationship between humans and animals. To commemorate their partnership, Omega is presenting two new timepieces: a 38.50mm three hands and date powered by the Master Co-Axial Calibre 8500, and a 43mm GMT model using the Master Co-Axial 8605. 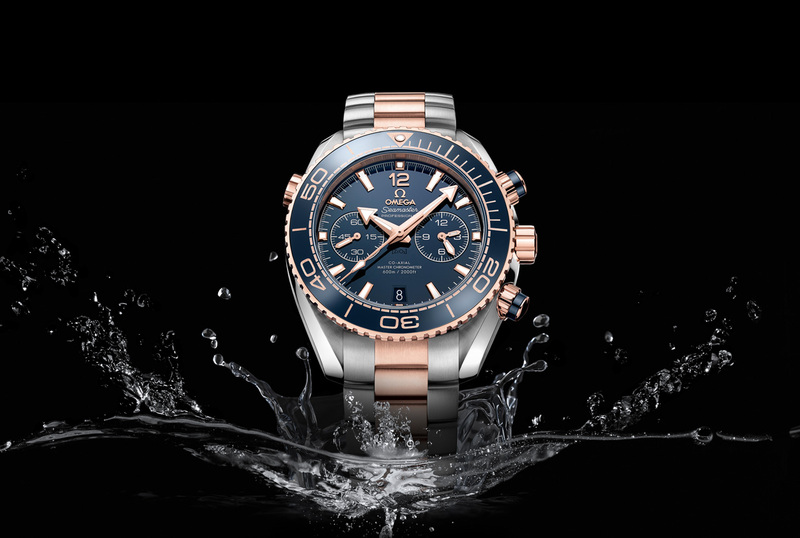 The Aqua Terra “GoodPlanet” is built from robust grade 5 titanium, and stands out for its use of the ocean’s colour. This is found on the applied blued indexes, OMEGA logo, and facetted blued hands, all placed upon a lacquered white dial. Unlike other Aqua Terra models, these watches do not feature the typical teak design. The Seamaster Aqua Terra GoodPlanet will go for CHF 7,000 and the GMT is expected to cost CHF 9,000. Finally, Omega has also unveiled a new addition to their Constellatioin collection of ladies watches, featuring a small second complication at 9 o’clock as well as Master Chronometer certification. To earn this badge, the watch has passed the eight intensive tests set by the Swiss Federal Institute of Metrology (METAS). 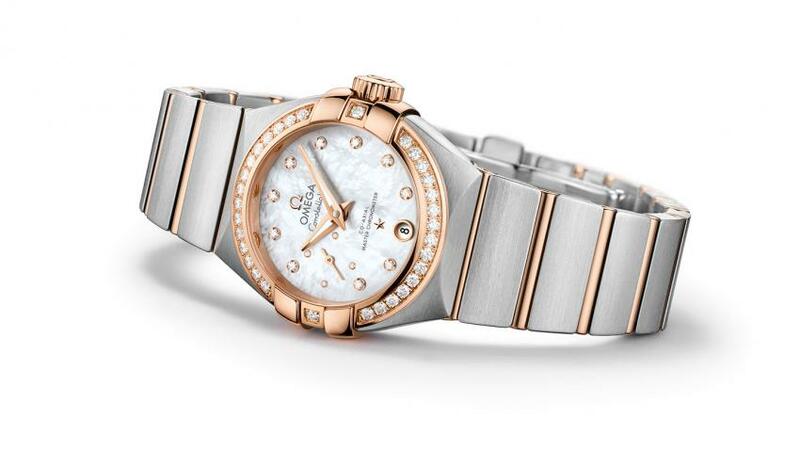 It is a charming combination of stainless steel, red gold, mother-of-pearl and diamonds in a tiny 27mm case. At the heart, we will find the Master Chronometer calibre 8704. It is expected in stores around October 2016 and the Canadian MSRP is $14,000.